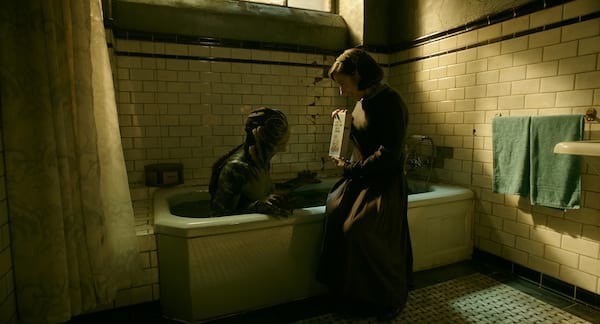 “The Shape of Water” brings its audience into a mysterious government facility in Baltimore where, in the deepest recesses of the lab, an amphibious creature (played by Doug Jones) is being studied for its unusual abilities. As Agent Strickland (Michael Shannon) demands for it to be killed and autopsied, Dr. Hoffstetler (Michael Stuhlbarg) insists that the creature’s secrets can only be revealed with a lighter touch. But it’s the facility’s quietest employee who realises the truest connection to the creature. Mute cleaner Elisa (Sally Hawkins) feels a strange affinity with this mysterious visitor from the deep. And as the men in charge prevaricate, she resolves to release the creature from its captors, with the aid of her colleague Zelda (Octavia Spencer) and her next door neighbour Giles (Richard Jenkins). 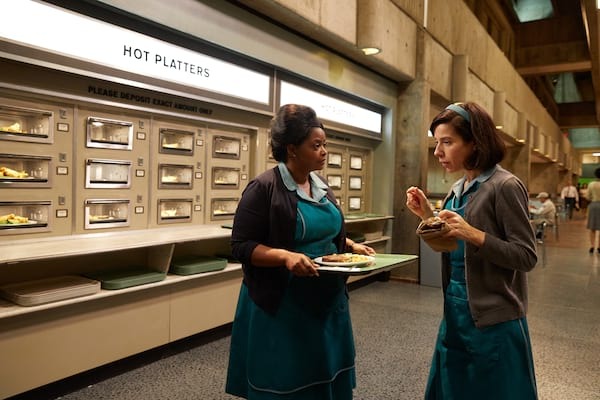 The Shape of Water follows in that tradition, but this time in socially divided 1960s America on the brink of nuclear war and sweeping cultural changes. Del Toro weaves in the dizzying landscape of falling in love, as a lonely woman with a traumatic past discovers a love so overpowering it defies suspicion, fear and biology. Del Toro opens his tale deep underwater. 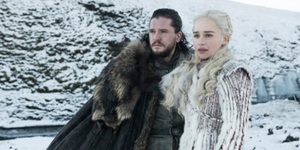 From there the entire film becomes an act of breathless submersion, plunging the audience into a 1960s world full of things we recognize – power, anger, intolerance; as well as loneliness, determination and sudden, electrifying connections – and one extraordinary creature we do not. An inexplicable biological “asset” of the U.S. government, a mute cleaning woman, her loving best friends, Soviet spies and an audacious theft all flow into a singular romance that surges beyond all boundaries. Within Del Toro’s storytelling, the themes of good and evil, innocence and menace, the historical and the eternal, beauty and monstrosity weave in and out of each other, revealing that no darkness can ever fully defeat the light. Summarizes Del Toro: “I like to make movies that are liberating, that say it’s okay to be whoever you are, and it seems that at this time, this is very pertinent.” It was also paramount that there be an extraordinary collection of actors. 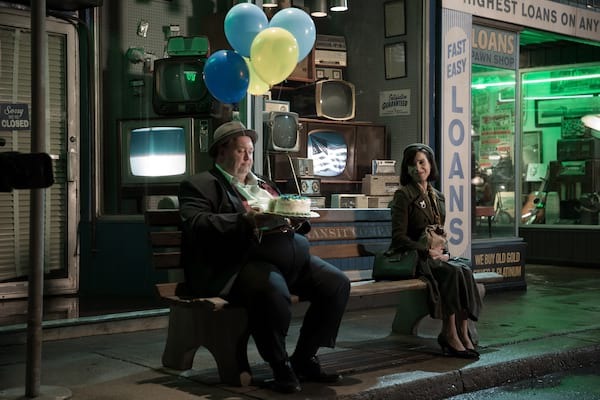 “The Shape of Water” opens February 21 in cinemas nationwide from 20th Century Fox.